Calling all basketball coaches, trainers and counselors: Have you harnessed the power of Retweets, likes and shares? Do you know what “Doing it for the ‘Gram,” means? Do you have a Snapchat handle? Well, here’s a news flash: Your players sure do. Love it or hate it, the fact of the matter is there is only one absolute truth about social media in today’s age. Your recruits, players, and even fellow coaches are constantly on social media, presenting a unique opportunity for you as a basketball coach should you choose to accept it. 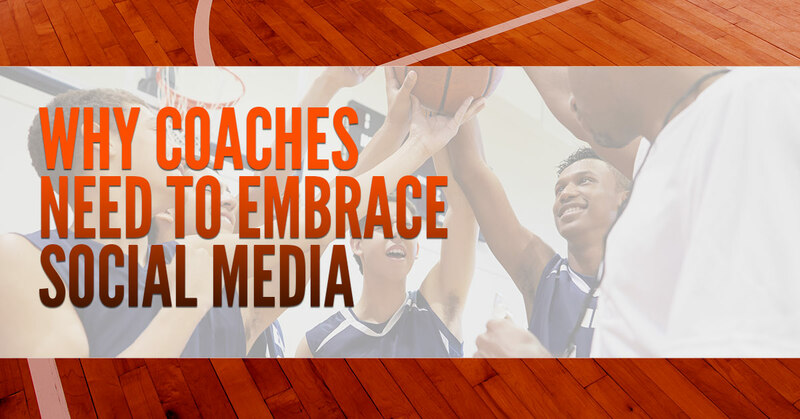 Embracing social media not only gives you an outlet to promote your basketball training camps, programs and knowledge, it also allows for an opportunity to connect with the players you work with on a daily basis. Here at Hoop Dreams basketball camps in Lexington, our founder Mike Scott has been on the forefront of embracing and promoting the powers of social media when it comes to connecting with his youth basketball players. One of the main responsibilities of a coach is to connect with athletes and make them feel comfortable. This can go a long way towards them wanting to train or play for you, thus making your program more successful and reputable. These days, one of the easiest ways to do that is through social media. Take this for an example: Say an athlete uses Twitter every day to look for potential basketball training camps in Lexington. He searches through the platform and discovers two different accounts.One has just over 100 followers and hasn’t tweeted for six months. The other is Coach Mike Scott’s Hoop Dreams, which has over 2,700 followers and posts motivational and informational basketball training tips daily. Which one do you think is going to be more reputable and relatable to this up-and-coming youth basketball star? And that’s just one example as to why embracing social media can help your basketball program thrive in today’s society. Twitter, Facebook and Instagram are the KD, Steph Curry and Klay of the social media world. But there are some channels that go beyond posting status updates and sharing images. Snapchat is one example of a newer social media platform that can be used by basketball coaches and trainers for the greater good. Snapchat can be used to give players a behind-the-scenes look at what you offer, from videos at a basketball camp to a sneak peek at a new drill that you’re about to debut in your private training session. It also presents an opportunity to just get your name out there and be seen as reputable. Again, when they’re not in the gym, your players are almost always on social media. Embracing the technology and getting your face and name out there as a coach will allow you to speak their language. Social media is how the next generation communicates. As a basketball coach, you can either embrace it or you can get left behind. Social media is a valuable tool to reach your players while also giving them a viable opportunity to reach you and see what you can offer. Post your basketball camp dates, show off your training videos, post photos, give them nutrition tips, link to sign-up sheets. Let them know you’re out there and you genuinely care about reaching out and communicating in a way that they are comfortable with, and your results will follow. And of course, follow Hoop Dreams on Facebook, Twitter and Instagram to learn how Coach Mike Scott’s youth basketball program can help you reach your full potential.